Location: Perth WA AUS T.
I have taken some time and searched the forum for all things oil injection. 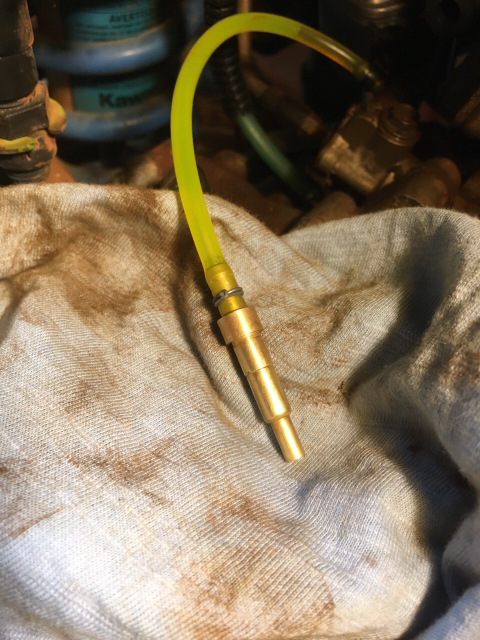 So the question I pose to the forum members who are familiar with the system is what actually fails, what do those of us that have oil injection on our bike need to pay particular attention too to prevent system failure. I don't have any experience with the SRs, but I did have an old Suzuki TS185 that had an oil pump, and my Kawasaki jet ski has a similar type oil pump. 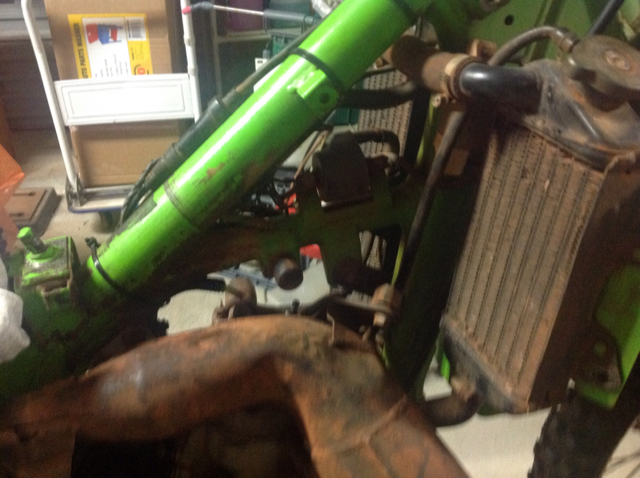 On the Suzuki the biggest problem was just having the oil line getting gunked up where it goes into the carb. Seemed if it sat for awhile the gas and oil didn't play well and it would plug up. On the jet ski it was the pump impeller that would wear, but I don't believe the SR pump is the same type. If you can find a service manual it should give specs on pressure output , etc. Unfortunately in the KDX universe a lot of us have never seen one in the wild! bufftester wrote: I don't have any experience with the SRs, but I did have an old Suzuki TS185 that had an oil pump, and my Kawasaki jet ski has a similar type oil pump. On the Suzuki the biggest problem was just having the oil line getting gunked up where it goes into the carb. Seemed if it sat for awhile the gas and oil didn't play well and it would plug up. On the jet ski it was the pump impeller that would wear, but I don't believe the SR pump is the same type. If you can find a service manual it should give specs on pressure output , etc. Unfortunately in the KDX universe a lot of us have never seen one in the wild! On closer inspection of the Sr parts fiche I’m no closer to understanding the internal machinations of the oil pump, there is an idler gear that looks like it drives off the clutch drum, this leads me to think that it’s a combination of throttle positioning and low pressure draw of the two stroke cycle. 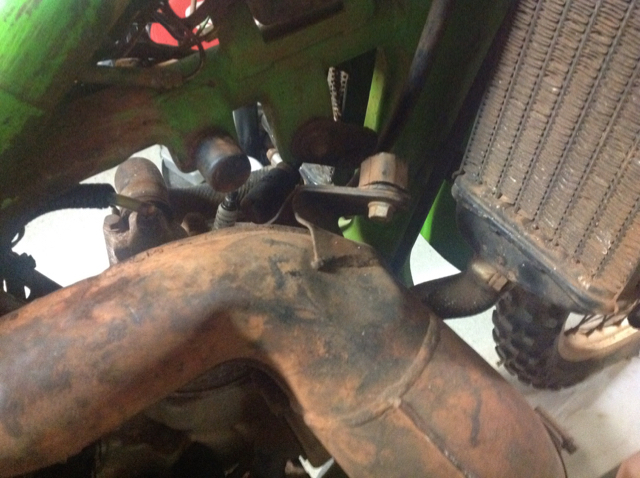 That may seem obvious to most but until I pull it apart I don’t know Jack, so I will heed your advise and replace all the connecting hoses, do you think regular fuel hose would suffice, the ones insitu at present are rock hard. Not sure exactly about the SR, but most have the pump gear driven off the crank or clutch. Engine RPM determines pumps revs per minute, throttle position controls the amount of oil pushed per pump revolution. Very neat setup. 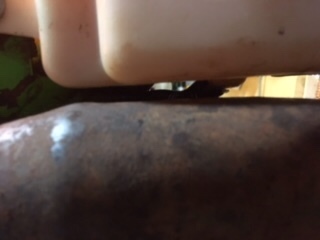 Hoses on and oil in, will let it sit over night to see if it moves further along, the brass fitting in the manifold is a check valve, mine unfortunately even after cleaning passes both ways and this might be where they fail maybe any thoughts if you read this post ?? Just wondering if someone can shed some light on the oil injection system for me. 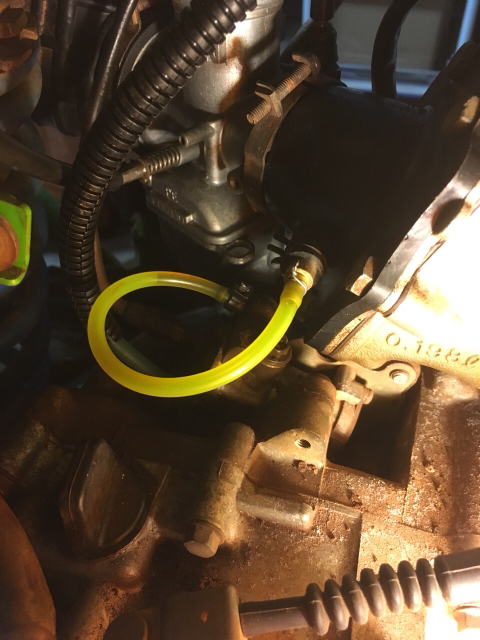 I have a clear hose between the oil pump and the manifold. When the bike is running, the hose is never completely full of oil along its entire length. It's full from the pump to about half way then splatters from the halfway point to the manifold. Does anyone elses look similar? I have been using an oil pump for 7 years now. And I'm not going to shoot. Increase the oil supply can be adjusted. First on the pump itself. The second on the rope in the middle. Slightly pulling the cable oil, we increase the flow of oil. Very comfortably. Although I ride only on the ground.